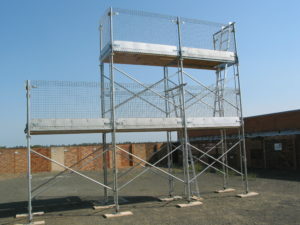 When erecting scaffold there are many standards, laws, rules and regulations to adhere to. Be aware of these as they will supersede any instructions that may have been issued.We will touch on a few safe working practices here. Remember, abuse of scaffold may endanger lives! Serious injury or death can result from failure to comply with safety regulations.When erecting, dismantling or altering scaffold, only a qualified or competant person may do so, if a person could fall 4.0m or more, the scaffold MUST be erected by a qualified scaffolder. Don’t forget to always wear the correct PPE and make sure that all the equipment is in good repair. If a person could fall 1.8m or more, then a guardrail MUST be installed. 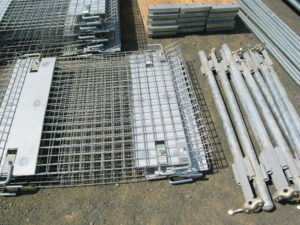 Equip and maintain all platforms with proper guardrails, along all open sides and ends of scaffold platforms.